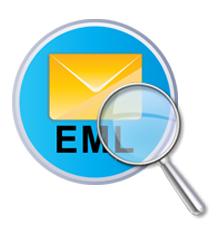 EML Viewer tool is one of the ideal software to explore EML files without installing its related mail clients. This is a freeware with simple and user-friendly interface. It supports to EML files of all applications and explore them with attachments. Software shows a quick view of the entire data of EML files by maintaining the formatting of emails. Users can read their email messages with standard designed structure. It previews data of email with all details like: From, To, Mail subject, Received Date, Size etc. 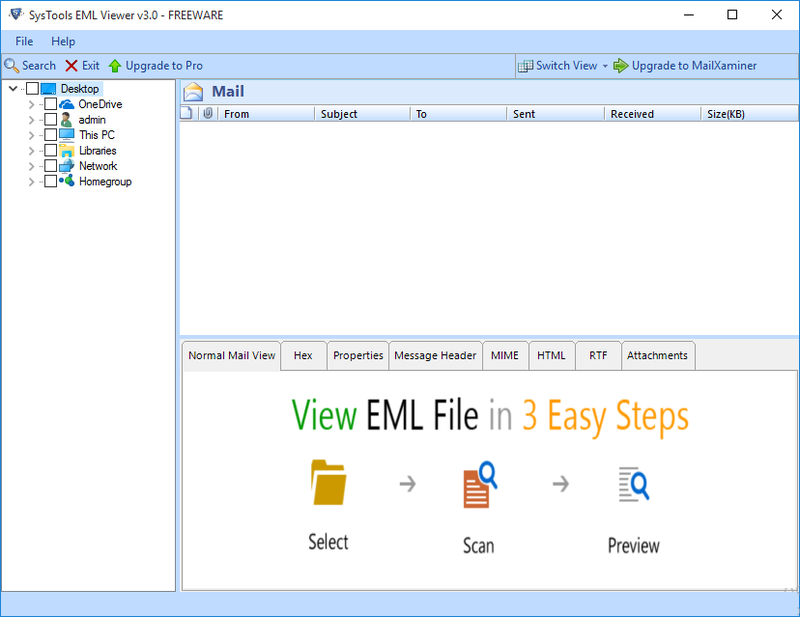 The tool can open all EML files created by any email client. Users can explore EML files of Thunderbird, Apple Mail, Windows Live Mail, etc. with this application. Besides this, the program is capable to open Gmail and Hotmail EML files with the original formatting. 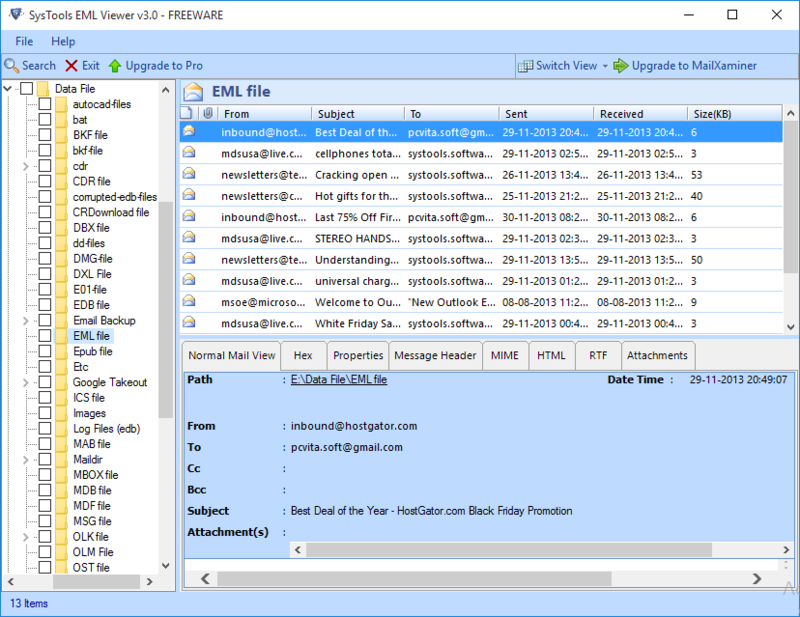 Tool automatically loads the entire data with total count of all EML emails within a folder. It displays an attachments preview for each corresponding mail. Users can view EML files with attachments such as: .docx, doc, .xls, .xlsx, .ppt, image data files and all other file types. Is this software able to explore EML emails on Mac Machine? No, it is Windows-based application and therefore, it cannot be accessed on a Mac Operating machine. Will the free utility support noname.eml file? Yes, the EML viewer is capable of giving support to the noname.eml file. The software gives a trouble-free processing of EML files and reads them with attachment, if any. How will I be notified if some new features gets discovered of this tool? All the details related to upgrading of tool is described in the Help page. Whenever something new happens, there will be a notification for you. "EML Viewer is one of the best application that comes up with various advanced features. I have viewed many EML files with the help of this utility. The best thing I liked about the tool is that it has a simple interface and anyone can access it without any trouble. I would like to say a big thanks to the whole team for creating such an innovative product." "Simply great is all I want to say about my first experience with this tool on Windows 7. I have installed it and then, all my EML files were automatically loaded in it. 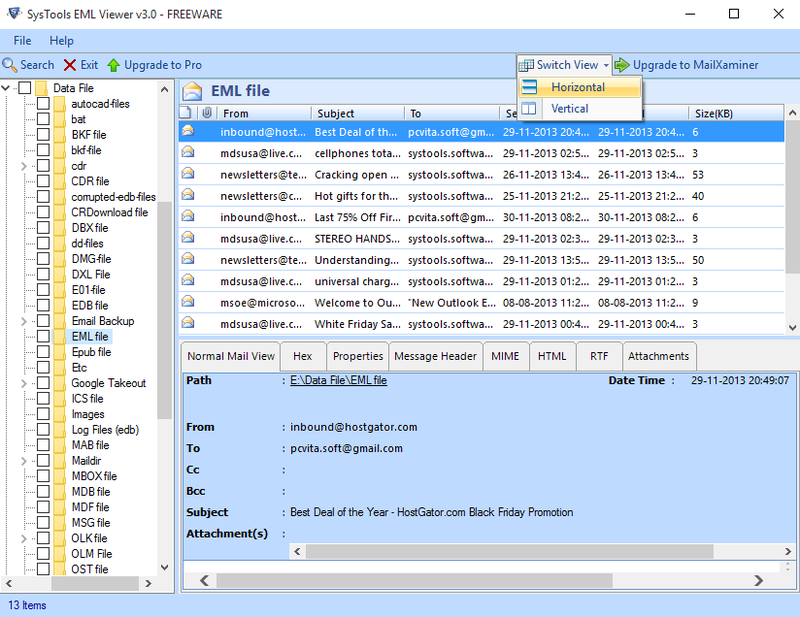 This freeware makes easy to open and read the data from my Hotmail EML files. Its easy interface attracted me a lot. I will suggest this application to all users who needs to open and read any of EML file"